Are you a Computer Science, or Engineering student looking to work in the technology field? This is your chance to meet representatives from tech firms and software companies to find out about career opportunities, and upcoming internships. Many companies interview on site! 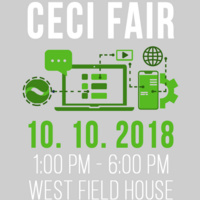 Another CECI Fair will be hosted in Winter.